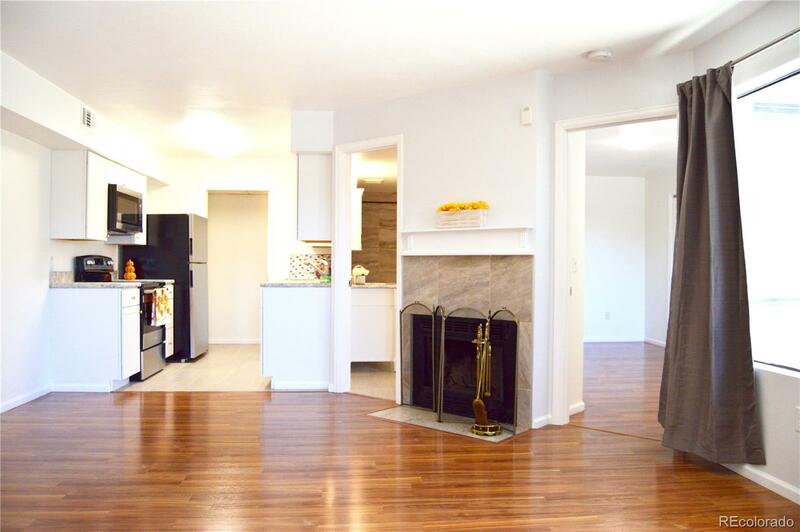 Beautiful condo, completely remodeled with open floor plan. Updated kitchen with new cabinets, new countertops, tile backsplash, new appliances and water heater, new floors, paint and doors. Bathroom has new granite top vanity, plumbing, tile and fixtures. Master bedroom has large walk in closet. Second bedroom has vaulted ceiling, also could be used as an office. Community garage space is right around the corner #217. Near modern conveniences, public transit with shopping/restaurants. Close to Casa Bonita, Walmart, Home Depot and Lowes, Panera Bread, Starbucks and much more. New composite roof, full exterior and interior paint. Private clubhouse for family get-togethers with outdoor pool. Pet friendly community. Near Sloans Lake Recreation Area, Edgewater.